There are a few common skin diseases that sometimes be mistaken for eczema, and vice versa. It is important to get a correct diagnosis. Not all diseases of the skin are treated in the same way. That is why it is also important that you don’t try to self medicate. Using the wrong treatment definitely wont make it any better. In some cases it may make it worse. There are some common skin diseases that maybe wrongly thought to be one of the types of eczema. Perioral Dermatitis. Appears on the face, mainly around the mouth. Its main symptom is small, red spots. 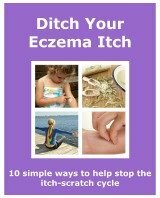 It can be mistaken for atopic eczema and seborrheic dermatitis, but it is not normally itchy like eczema. You can read more about each of these conditions by clicking on the above links. If you suspect that you may have any one of these common skin conditions, visit your doctor. They can diagnose the condition and provide you with the best treatment. And like with all conditions, if it is persistent and/or causing problems in your everyday life, pay another visit to your doctor. You can find out more about the different types of eczema. This may even help you to work out what that irritating rash is.